This is my latest deep bed, background, about 2 feet high, made from our pile of aged manure-soiled-bedding, which creates a great carbon-nitrogen ratio. 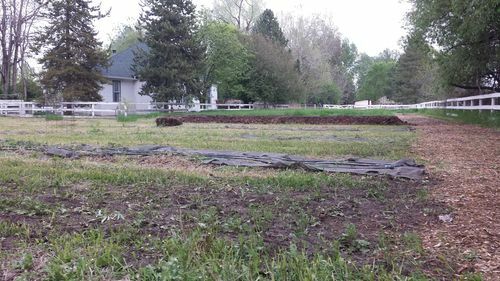 The beds are labor intensive to build, but much easier to work with than bare ground, foreground, and the plants love the fertile habitat. Also, you don't have to bend over so much to work with a deep bed. I plan to make these about waist high in the next few years.